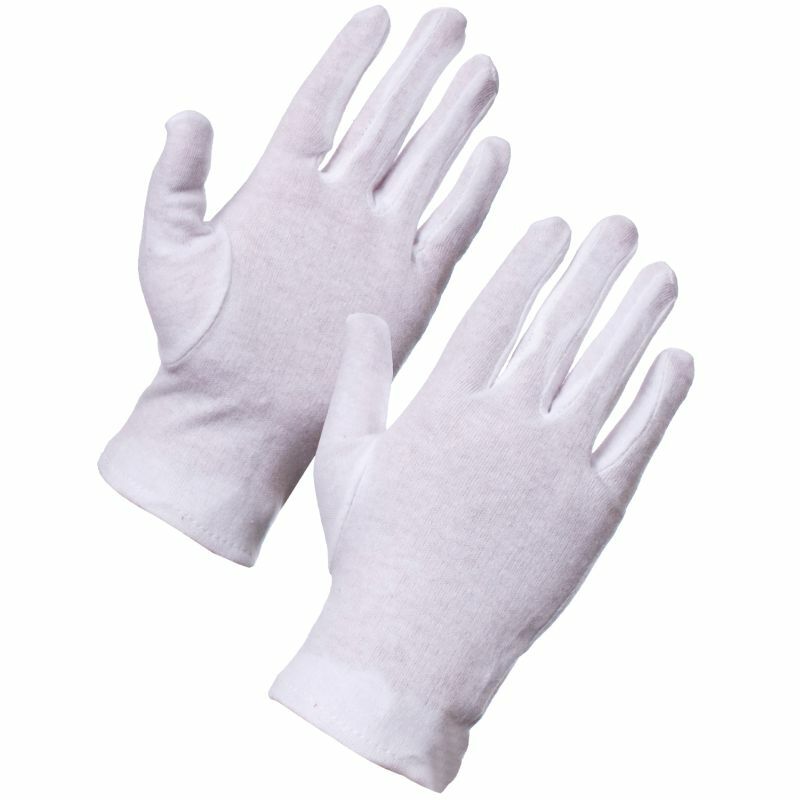 The Supertouch White Cotton Gloves Forchette 2550 are exceptional delicate handling white cotton gloves. 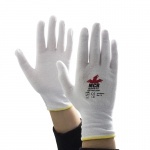 They work well when used as both professional industry standard gloves or household cotton gloves, where they prove useful in applications such as inspection, examination, hygiene, polishing, photograph handling, cooking and food use. Delicate and highly tactile, these lightweight gloves are perfect in any industry that demands intricate applications. 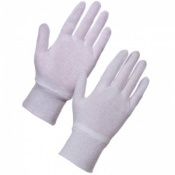 These fine cotton hand gloves are highly popular because they are versatile and can help with many industries. This includes use as professional gloves as archivist gloves, floristry gloves, polishing gloves, gloves for handling photographs and polishing gloves. They are also suitable for use as household cotton gloves too, providing useful as bed gloves, cooking gloves and food gloves. The Supertouch White Cotton Gloves are a top pick in the UK, because their lightweight and versatile design is perfect for a wide range of delicate, intricate and tactile based applications. They are also available as ladies' white cotton gloves, meaning that all audiences are covered. As these fine handling gloves are extremely popular, they are only available in packs of 10 pairs. For 100 cotton gloves please buy 50 pairs. The Supertouch Forchette Gloves are supplied in three different sizes: and one size fits most option for ladies and two different sizes for men. Please see the table below for measurements and select the appropriate size for you from the drop-down menu above. I bought these gloves for handling my photographic negatives. The size is perfect I have small hands. These gloves are fantastic! I bought a pack of 10 over 2 years ago, have used them every night over eczema cream, and only now are they starting to get holes in them. I bought several pairs of these to contain my grubby finger marks when handling fine art photographic prints. They're light, work well and are brilliant value for money. The sizing is spot on for me. We use our gloves to handle our church silver which is hundreds of years old. It saves cleaning finger marks off which prevents wearing away the silver. Excellent delivery time. One day. Excellent delivery time and easy to order online. These are just what I’m looking for to handle some large photographic prints. Also for visitors at exhibition to use to look through photo books - to reduce damage from less than clean fingers! Nice shaped fingers - to help delicate dexterity. These cotton gloves fit well, have much better stitching than those you buy in the high street shops, and are much better value for money. 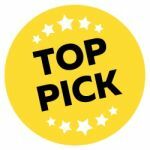 Service was excellent; there was a slight delay in delivery, but the company kept me regularly informed, offering the ability to cancel or order a different item if required. Will definitely buy from them again. I have sensitive skin and use the gloves regularly after putting cream/oils on my hands each evening. They are just what I need at a great price too. I bought these for my 11yr old. He uses them to cover his itchy eczema or creams. Due to the creams and scratching I know they will not last long but for the price I bought 10 pairs. They washed well. I ordered these gloves to wear to handle and do up the tiny buttons on my daughter's wedding dress! They fit perfectly, are soft and do not restrict hand movement which was good. They did the job and were exactly what I needed!